Ephemera is one of those words that when spoken sounds like its meaning . . . a soft, wispy sound like whisper and rhymes with chimera. Ephemera are things that last only for a brief moment in time . . . like whispers and chimera, ephemera lack real substance but not necessarily importance in everyday life. You might even say that we take some of the most important things in life for granted. The bits and pieces of ephemera that we come across can really stir memories. Monogrammed paper napkins carefully folded then placed in a book . . . garters thrown at weddings . . . matchbooks from a restaurant . 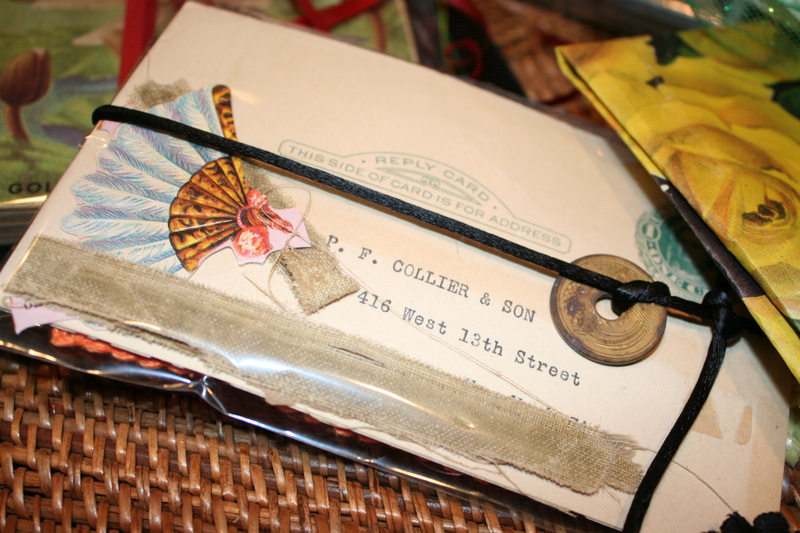 . . cards, letters and postcards. Fragments of life . . . So when I first spotted this A&W root beer container . . . I was so surprised! I had forgotten about these containers (waxed cardboard) in the shape of a bullhorn. 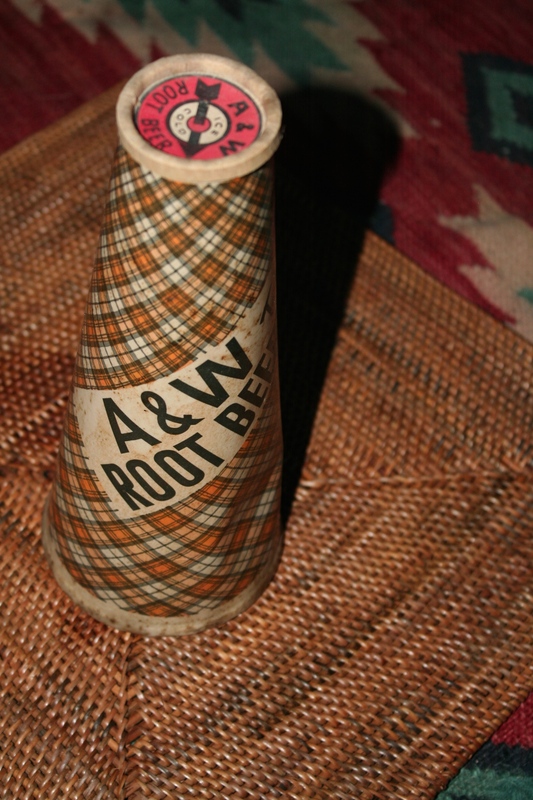 The root beer was so damned good; hate to admit it but when I was pregnant with my first child, I craved root beer from A&W at all hours of the day and night! 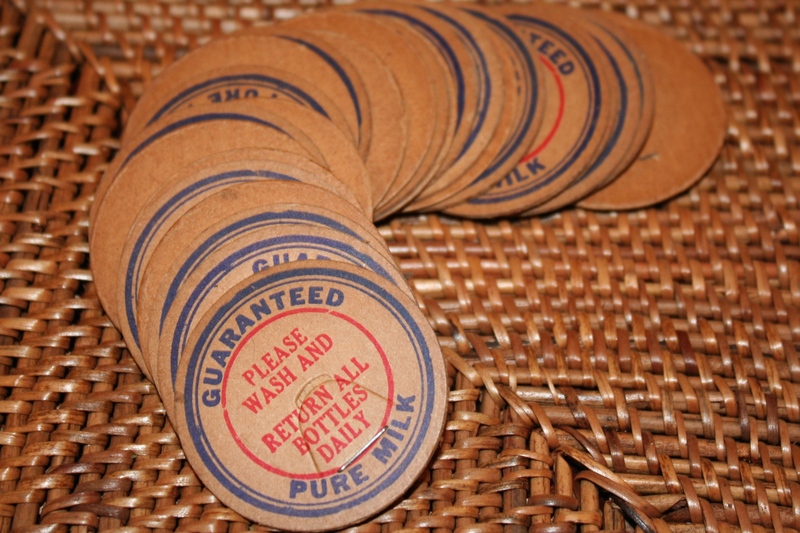 Another example of ephemera are the round cardboard inserts that were used to seal glass milk bottles. I love the reminder to wash the bottles before returning. Reminds me once again that reusing is the predecessor of recycling. Hard to believe . . . but those were simpler times long before a madman decided to tamper with the supply of Tylenol. Glass milk bottles belong to the time when we had public trust . . . like trusting the milk man to keep the milk cold as he delivered it to our homes every morning. Even though the milk bottle is not ephemera by definition, I found a very special milk bottle from Chicago Heights, Illinois – and so am I. As the collection of ephemera grew, I realized that I needed a good way to pass it on without damaging papers sometimes fragile but always precious and quite often rare. I am now packaging many of these papers in a way that makes sense to me and I hope, makes sense to you. 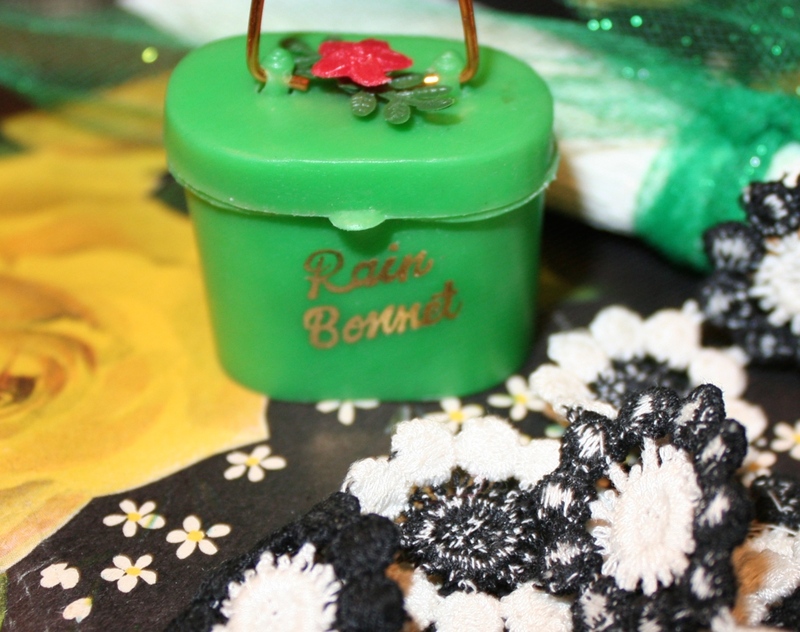 There are vintage wrapping papers for weddings and baby showers, rain bonnets for showers, postcards, old coins, buttons, illustrations among other bits and pieces that fit together in ways that seem to bring them to life. I imagine some of you might use them for scrapbooks or wrapping presents or in a collection of some sort or other. I have found them useful – as they were yesterday. And beautiful, each in their own way. Would love to hear your ideas . . . and you might want to take a peek on Etsy or see them in the store at Eclipse when we are back from summer break.